Fruit and food brings us together! We have shared a lot of food, drink and laughter during this project. 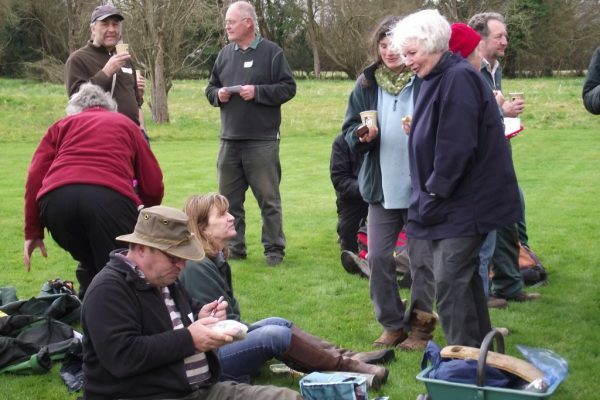 We have had picnics whilst working and training in the orchards, and enjoyed tasting sessions as part of our researches or while socialising afterwards. 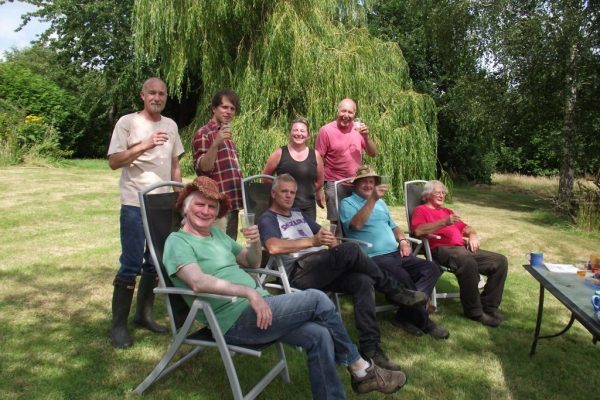 Mention the word ‘orchard’ and most people immediately think of apples and cider! 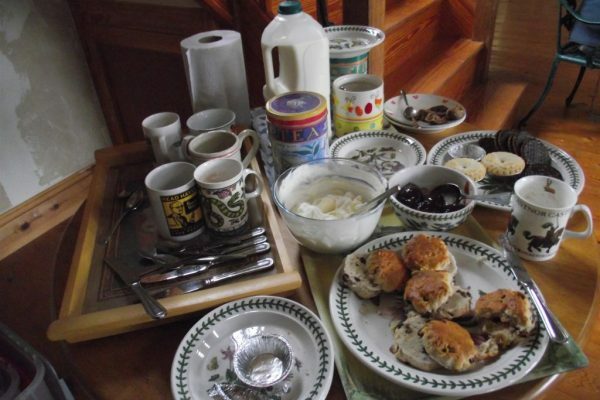 People in the Three Counties created all sorts of other edible or drinkable delights including plum jerkum, perry, jams, preserves, chutneys, cakes and savoury puddings. 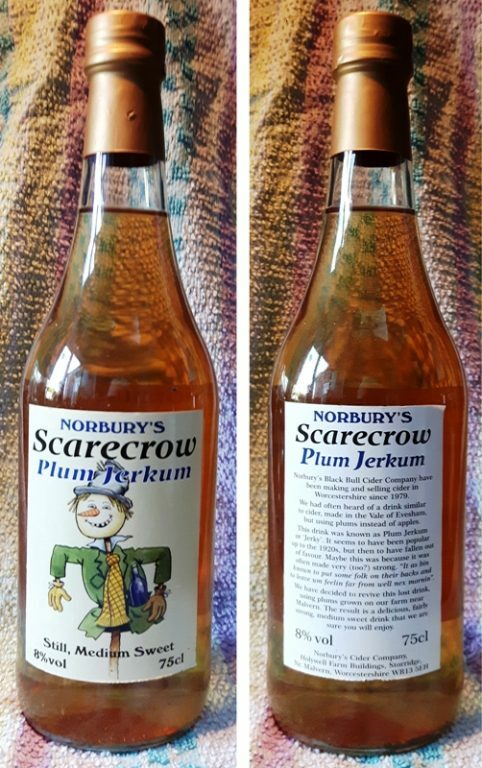 Plum Jerkum is a Worcestershire wine made from plums and often mixed with cider. This heady orchard mix has been responsible for many a misdemeanour! In trouble with the law! 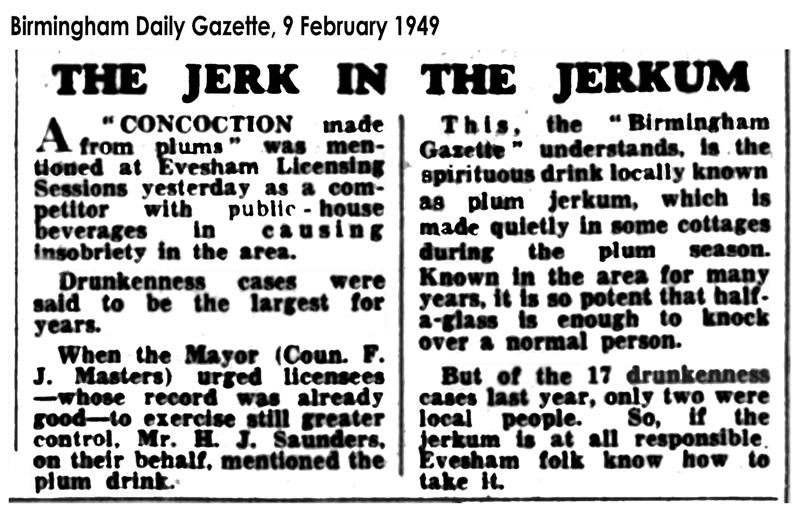 Many a local has under-estimated the effects of a spot of Plum Jerkum or plum & parsnip wine. 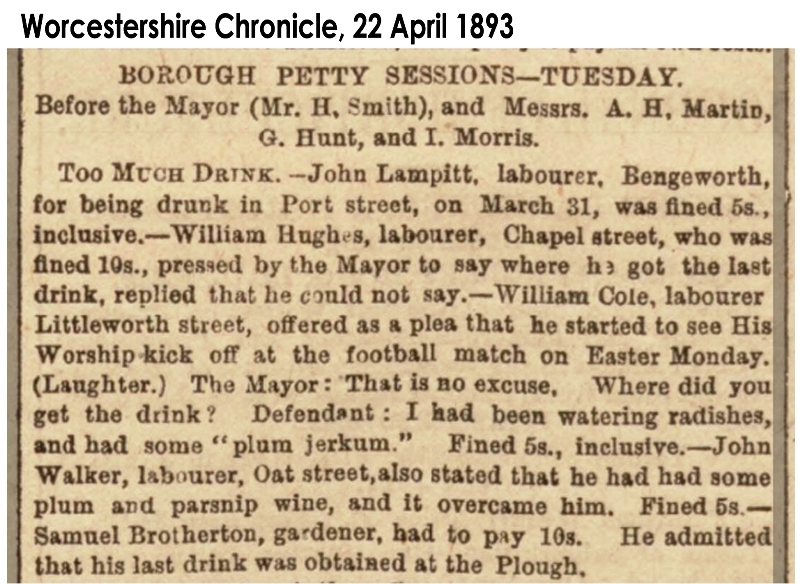 The following newspaper extracts show that local magistrates often passed judgement on unwary drinkers! Click on the images to read the text. Each picture will open in a new window. Fruit grown in small traditional orchards can often be wasted because crop quantities and quality can be unpredictable. 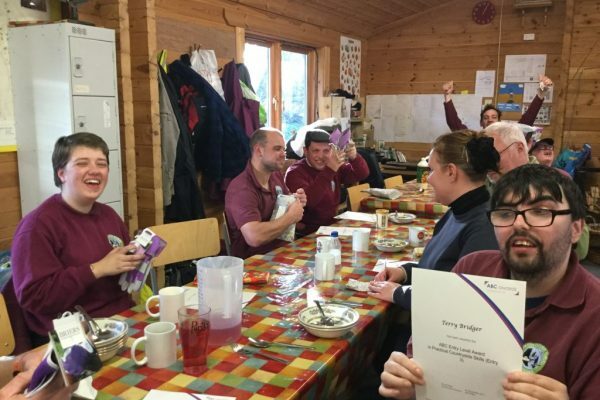 As part of our activity we supported a pilot called ‘Trust Juice’. 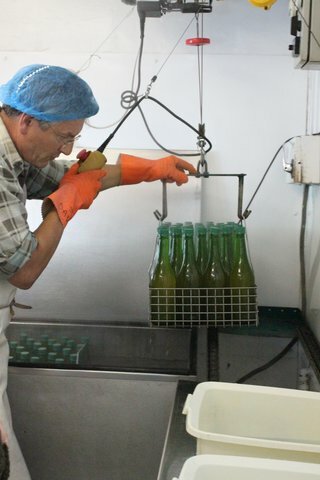 The Trust Juice organisers paid owners of participating orchards a small fee for their fruit, so that it would not be wasted. 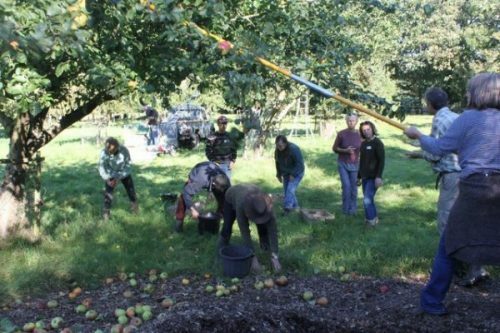 Volunteers picked the apples, a commercial company pressed them, and we sold the juice through local groups and charities. Any profits we made went toward the care and preservation of the traditional orchards. Everybody wins! 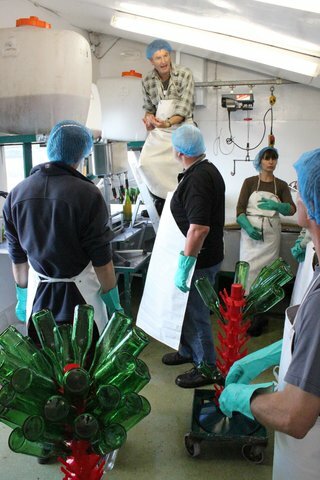 Volunteers visited the pressing plant in summer 2017 to watch the workers transform their fruit into tasty juice!